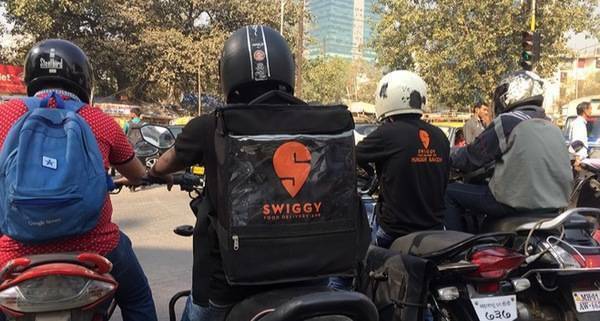 In India, Swiggy is the leading online food delivery app and it is growing day by day. Swiggy is the food delivery app on which a person can order food and the delivery boy will deliver food at the given address. Swiggy is giving discounts on many restaurants so customers are increasing day by day. Nowadays many people prefer online food delivery app for ordering food, if you are a restaurant owner or if you want to list your restaurant on swiggy then you can easily do this through online procedure. 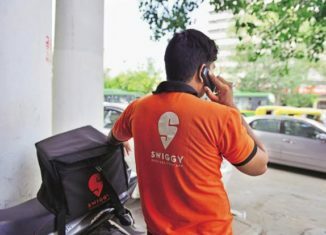 This article talks about the tie-up with swiggy so you will get an idea about it and If you want some loan for your Restaurant then you should done your registration on Udyog Aadhar so you will get many benefit under the government scheme. If you want to tie up with Swiggy then you have to register your restaurant on Swiggy and for registration, you have to submit your details on the official website or you can click on this link https://www.swiggy.com/partner-with-us/. After clicking on the given link a page will open on which you have to submit your restaurant’s details in it. You have to submit the details like the Restaurant name, the address of Restaurant, city, Restaurant owner, mobile number, and Email ID. You have to submit the other important details like the website of your restaurant (if any), a number of outlets, which type of cousin are you serving in your restaurant, your establishment type, and other important things. So as you can see that while submitting your details, you have to fill every required detail in it. After filling above given information, you have to submit your restaurant’s document. You have to submit your documents like Shop Act license, FSSAI license, Goods and Service tax identification number and your PAN card. If you don’t have these document then you may not be allowed to list your restaurant on Swiggy so you should make these documents. FSSAI registration is an important document for every restaurant because without FSSAI registration you may not be allowed to sell any food items in your restaurant. FSSAI stands for Food Safety and Standards Authority of India and it is a government body which issues the FSSAI license to restaurant and service provider for selling food items. Food Safety and Standards Authority of India is set their rules and regulation for issuing FSSAI license and if you want to register your Restaurant under FSSAI then you have to follow the rules and regulation of the FSSAI and you have to follow some food safety and standards guidelines. Shop Act license is also important for registering on Swiggy because Shop Act license is given by the local municipal board to the restaurant for conducting business in local are. GST identification number is also important because you have mentioned your GST identification number in every invoice.So after filling the above given information you have to upload the documents of your restaurant and you have to submit pictures of your restaurant along with the documents. You have to attach the photos of faced of restaurant, dinning pictures of Restaurant. Then you have to click on the Sign up then a new web page will open. After clicking on the sign-up, you have to sign the service agreement because Swiggy will enter into an agreement with you that you will provide food on time and you will provide a good quality of food to them. There are some terms and condition will be given so you can read them and then you have to sign the agreement. After signing the agreement the Swiggy authorized person will check your food and take some photos of your Restaurant, they will give you some training for packaging and then you can go live and start getting the order. After receiving an order you have to make the food within a given time and then the delivery boy will pick your food and delivered it to the customer. As you can see in the above article that Tie up with Swiggy is very easy but you have to get ready with your documents. Some of the documents like FSSAI license, Shop Act license, Goods and service tax identification number, PAN number is important document because you have to upload these document during signing up on Swiggy.